This is my first time doing a Polish Days theme manicure. 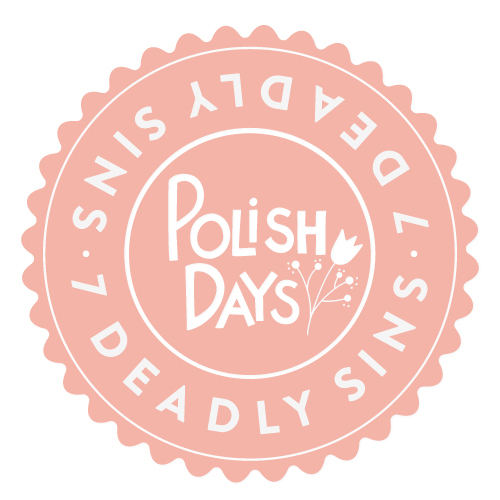 I’m actually quite excited to do this too :) This month’s theme is 7 deadly sins. I did a quick googling on the subject and saw some inspiring images. I decided to go with pride. Pride is said to be the original and deadliest of the seven sins. Pride also called vanity, wanting to be more attractive and important than the others. 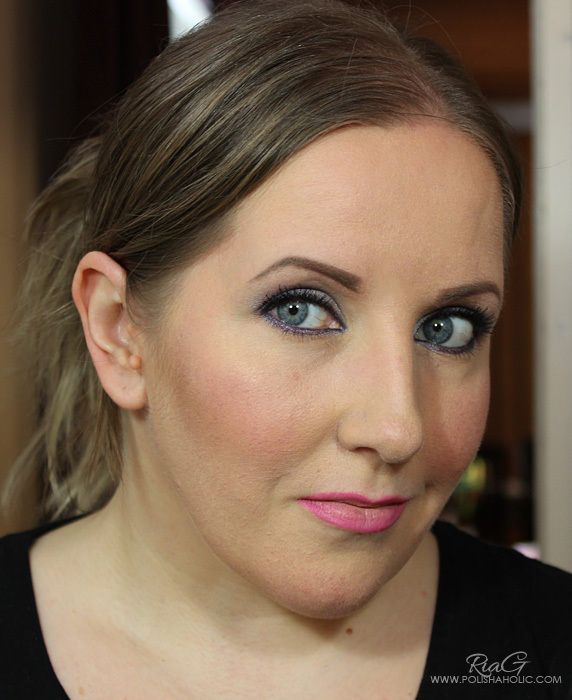 For this I wanted to do a look that was very showy. Since pride is often associated with violet color I saw the perfect opportunity to use my Illamasqua Babtiste that finally arrived. I sponged some purple glitter over it on some parts of the nails and glued on a lot of clear, different sized rhinestones. Unfortunately the photos don’t do justice to how sparkling this manicure really was. 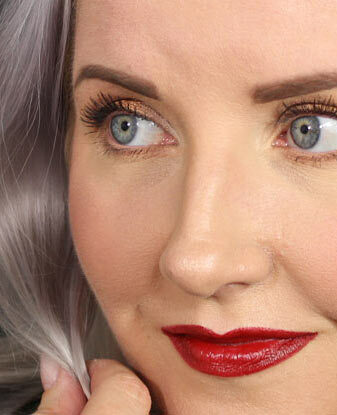 It’s time for another Born Pretty Store review. 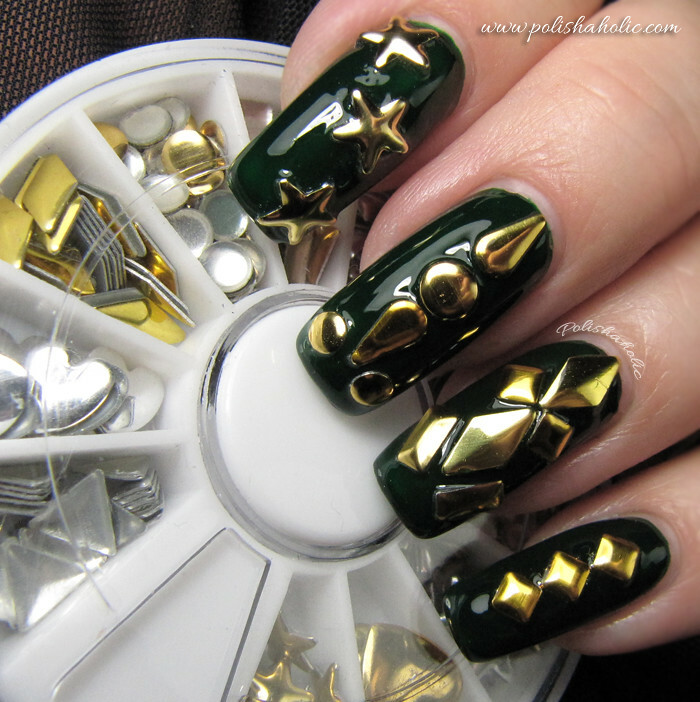 This time I have a wheel of nail art studs for you. This wheel has 12 different shape studs both silver and gold in it. I like the fact that I can get all these shapes in a same package. This way I get to play around and try out different things. Some of the studs are quite big and all of them lay flat. 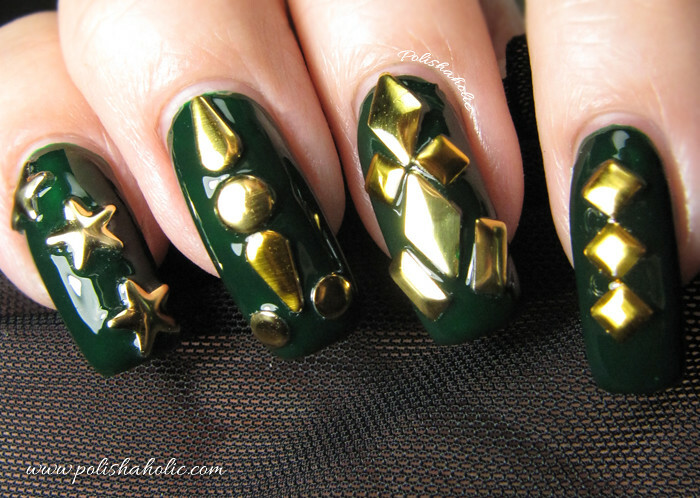 You can easily bend the bigger studs so that they curve a little and match the shape of your nail. I used a dotting tool handle to push the stud against so I got it to curve just the right amount. Again I applied the studs on a manicure that wasn’t completely dry yet and pressed the studs down lightly to get them to sink into the polish a little. After I got all the studs placed I added a top coat to seal them in. The polish is Illamasqua Rampage. I used a lot of big studs this time cos I wanted to go a little overboard with this look. I really like how the ring finger turned out. Almost looks like it has an armor on. Next time I use these I’ll probably just do an accent nail. I find all the the studs on this kit being very usable and you’ll be seeing more designs with these in the future. 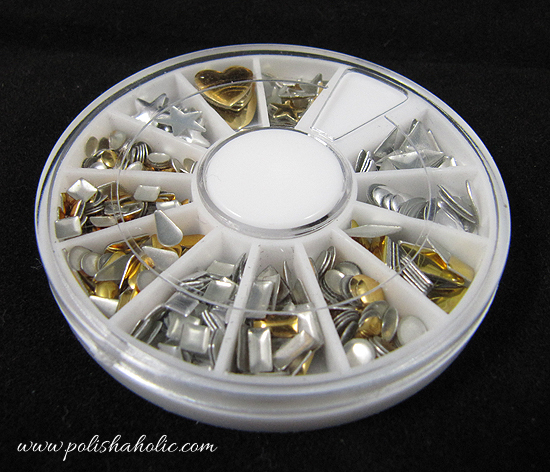 You can buy this stud wheel from Born Pretty Store and they also have a wide range of other nail art supplies. 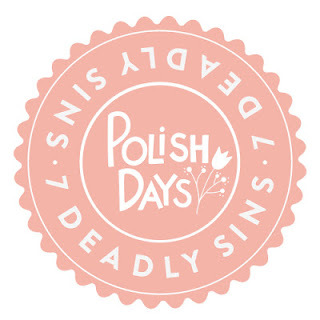 Born Pretty Store offers free worldwide shipping. Please use the code “NZL91” when you order and get extra -10% discount. ***These studs were sent for review.